The garage door is both an aesthetic feature and security fixture. Therefore, your investment should be able to withstand the brunt of Nature each day, while also upholding the neat and orderly appearance of your home or place of business. Work with a garage door company in McKinney, TX, that upholds the function, appearance, and value of your installation. Our team has the training, experience, and expertise to ensure your garage door will look and operate as intended. As an installation with many different components and moving parts, the garage door requires careful inspection and responsive maintenance measures so that it continues to be a dependable aspect of your home or business. For many property owners, the garage door is just as much an entryway as the front door. 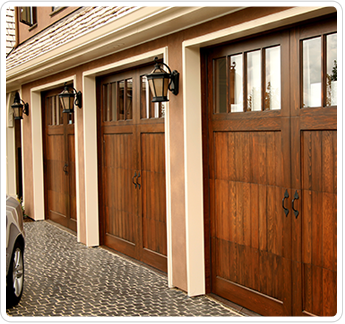 Count on our garage door services to keep your investment in good shape. Your time is valuable. Choose a garage door contractor who treats you with respect. For more than 18 years, our company has helped commercial and residential customers with all their door repair, replacement, and maintenance needs. We are familiar with many of the popular garage door manufacturers, including the makers of automatic openers. Our team prioritizes your total satisfaction. To that end, we work diligently to ensure you get the proper services, while empowering you to save time and money. We inspect every installation before making any service recommendations. As a result, you get the repairs you need. Many of our services are available on a same-day basis, which provides flexible options for fixing your door and its supporting structures. Whether your garage door requires new parts or a total replacement, we’re here for you. Our team has the equipment and materials to restore the condition of your installation. We repair and replace virtually every component, including the rollers, springs, tracks, cables, and door panels. A well-maintained property is a highly valued property. Choose a garage door contractor that accommodates your specific concerns. We listen and inspect first before offering service options. We provide free estimates, and many of our services come with discount offers. As a result, you get accurate service that stays within your schedule and budget. Don’t let broken door parts compromise the security of your home or place of business. Our team is here to provide emergency live support 24 hours a day, seven days a week. On top of that, we don’t up-charge our services during the weekends or holidays. We are completely committed to delivering the best possible value to you. Contact our garage door repair company to request an estimate for our services. We proudly serve commercial and residential clients throughout Frisco, Plano, Mckinney, The Colony, Prosper, Aubrey, Lewisville, Little Elm, and Allen, TX and the surrounding areas.